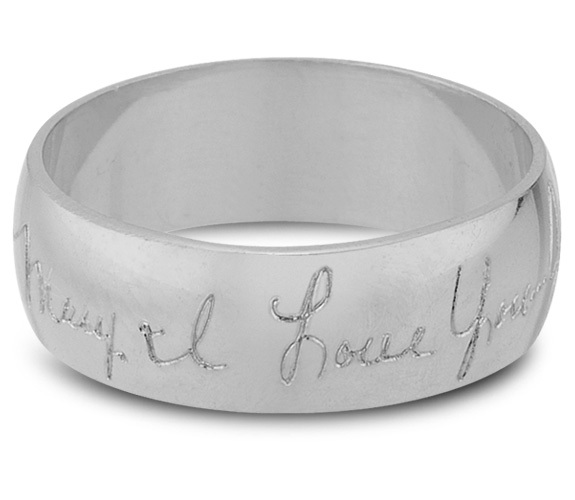 Personalize your wedding band with your own handwriting. Customer must provide handwriting inscription in a .tif, .jpeg, or .gif image file. Simply email your handwriting once you place your order. Also available in 14K Yellow Gold and 14K Rose Gold. We guarantee our Your Handwritten Wedding Band Ring, 14K White Gold to be high quality, authentic jewelry, as described above.